Pipe, control, or "T" valves are simply connectors that allow tubing to be connected to various pieces of equipment. They can also be used in the event a piece of tubing develops a leak. The faulty portion of tubing can be removed and a pipe valve used to connect the two halves of the tubing, thus eliminating the need to replace the entire length of tubing and potentially having to disrupt the tank in the process. 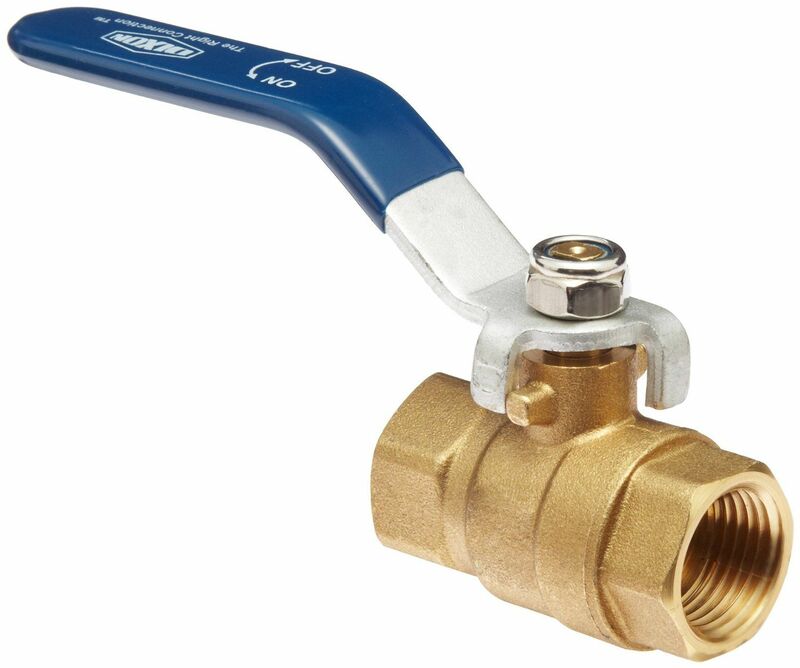 Pipe valves can also come with a valve lever to turn off or adjust the airflow, although gang valves are typically what is used to adjust the flow rate. Gang valves are used to control air flow for multiple lines, although there single line gang valves are available. The gang valve is designed to adjust airflow in small increments or even shut it off entirely. Gang valved are designed to be mounted on the aquarium or stand and remain in a fixed position. Typical gang valves for aquarium use come with three or four ports, which don't all have to be used. Some models also come with check valves built into the system. Check valves are a must for every air pump. A phenomenon known as back siphoning can have serious repercussions. 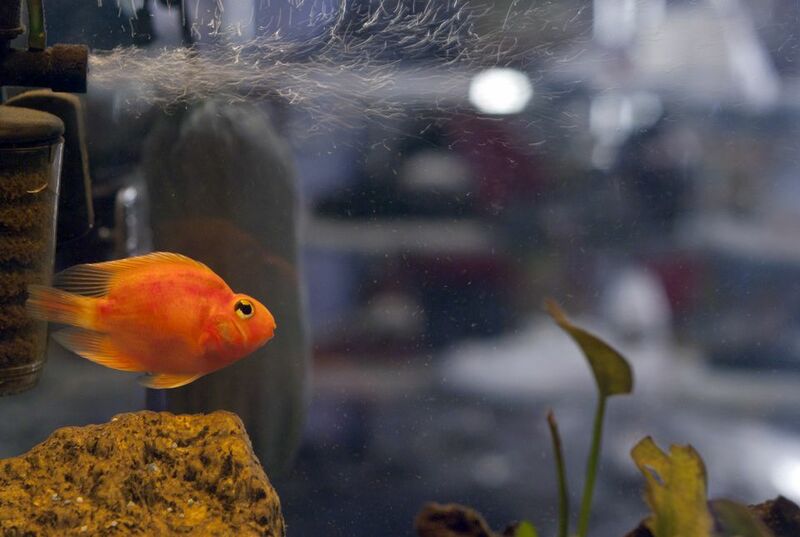 Water can be sucked from the tank damaging the air pump, entering the electrical outlet resulting in dangerous shocks, and drain part or most of the water out of the aquarium. Nobody wants any of those things to occur in their home or aquarium, which is why every air pump should be fitted with a check valve in the line between the tank and the air pump. Check valve design is simple and effective, and about the only thing that can be done incorrectly when installing them is to place them in the line backward. They come with an arrow or another mark to indicate which direction to place the valve in the line. The arrow should point in the direction of the air flow. When in doubt, blow through the check valve to verify which direction air will flow. Always keep extra check valves on hand, in the event that one fails. Most differences in check valves are largely cosmetic. They come in a variety of colors and shapes, but all accomplish the same thing. Often they will come in packages of three or more. Some check valves are combined with other functions, such as a CO2 diffuser or bubble counter combined with a check valve. There are gang valves available with check valves combined in the design. Right angle check valves serve the dual purpose of routing airlines around a corner while providing check valve protection at the same time. There are even bubble wands with an integrated check valve. Airline tubing is used with air pumps to connect to a variety of equipment, including filters, airstones, bubblers, and decorations. Tubing will often be provided with an air pump or air driven equipment, but it's not always the best fit for what is needed in your setup. Perhaps the most common problem is an insufficient length. When purchasing a piece of equipment, make sure you check the length of tubing provided, as often it's on the short side. Standard aquarium airline tubing inside diameter is usually 3/16 or 1/4 inch. Pond Tubing is larger, so take care that you don't get the wrong diameter tubing for your aquarium. Another tubing factor to consider is color. Although clear tubing may seem like the only color you will ever need, it can be surprisingly visible in some cases. Clear tubing tends to catch the light, while tinted tubing has a matte finish that doesn't reflect light so readily. Depending on the setup, tinted tubing may actually be far easier to conceal next to colored equipment, cabinetry, or backgrounds. Tinted tubing can also be used in gang valves to give a quick and easy visual differentiation for which piece of equipment a line is going to. Black tubing has the added benefit of deterring algae growth in airlines. In addition to clear tubing, colors or tints commonly seen are pale blue, pale green and black. Some tubing comes with markers to indicate length, which can be handy when cutting to desired lengths. Lastly, the tubing material is another consideration. PVC (Vinyl) and silicone are the types of aquarium airline tubing you have to choose from. PVC is generally stiffer and shinier than silicone. Silicone is highly flexible and has a matte finish that reflects light less than most PVC tubing. The stiffness of PVC is valuable in applications where the tubing needs to stand more rigidly in place, while the flexibility of silicone fits better when the tubing needs to bend around turns and corners. When cutting airline tubing always cut them a bit longer than what you need, as you can always trim them later but you can't add length if the line is too short. Cutting the tubing at a slight angle will help when placing and removing the tubing from equipment. Wet the nozzle of the fitting help the tubing slip on the fitting more readily. If using multiple airlines, mark each line with a magic marker to help identify which one is which later on.